It doesn't get any fresher than Yarnick's! 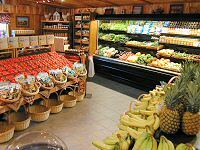 We invite you to come to our Farm Market located right on our farm. 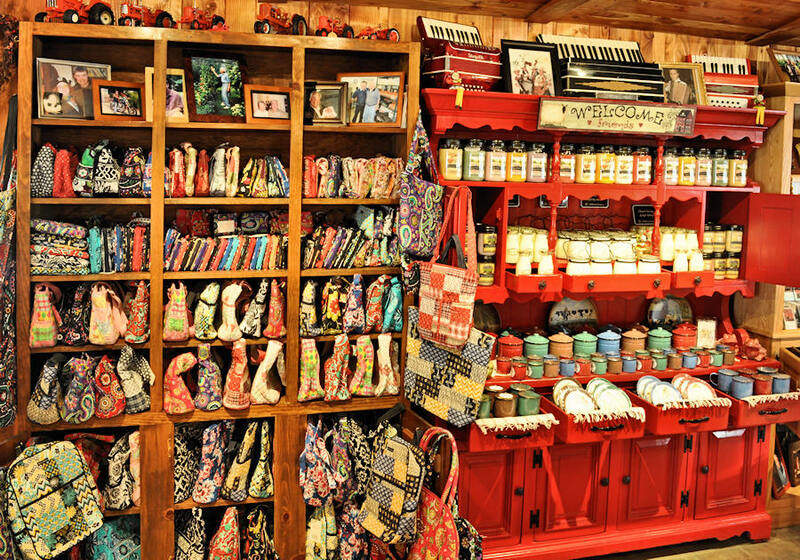 You can shop in our relaxed country atmosphere and experience "The Charm of Yarnick's Farm" as you sit a spell in one of the rockers on our front porch. 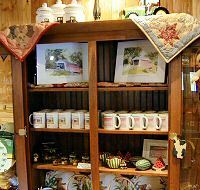 Our market is full of the things we are famous for and much, much more! Click pictures to enlarge. 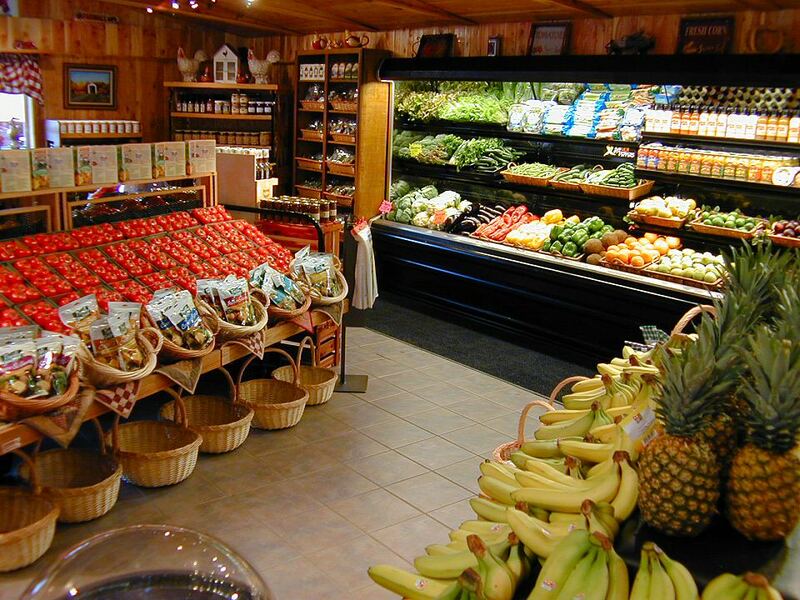 Find out more about Yarnick's Farm with our Videos! 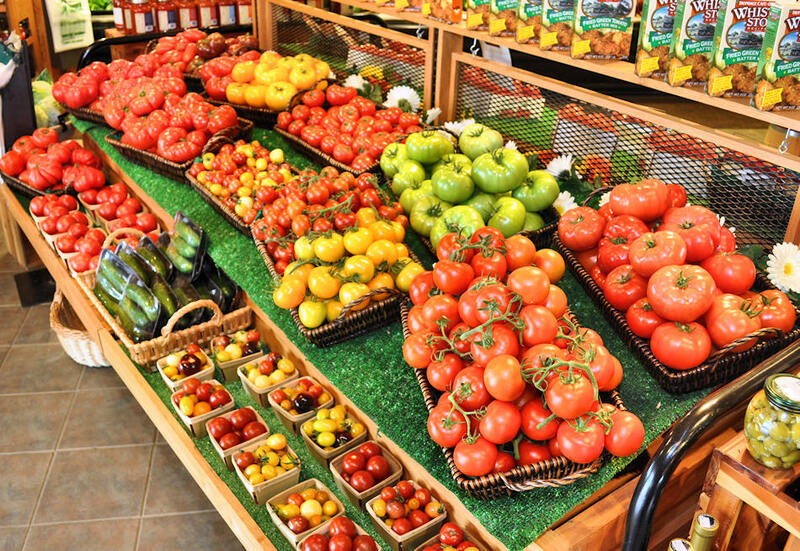 Of course we have plenty of our fresh, vine-ripened tomatoes. 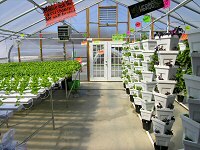 We grow a full line of fresh vegetables hydroponically in greenhouses and in the fields right behind and beside our market. 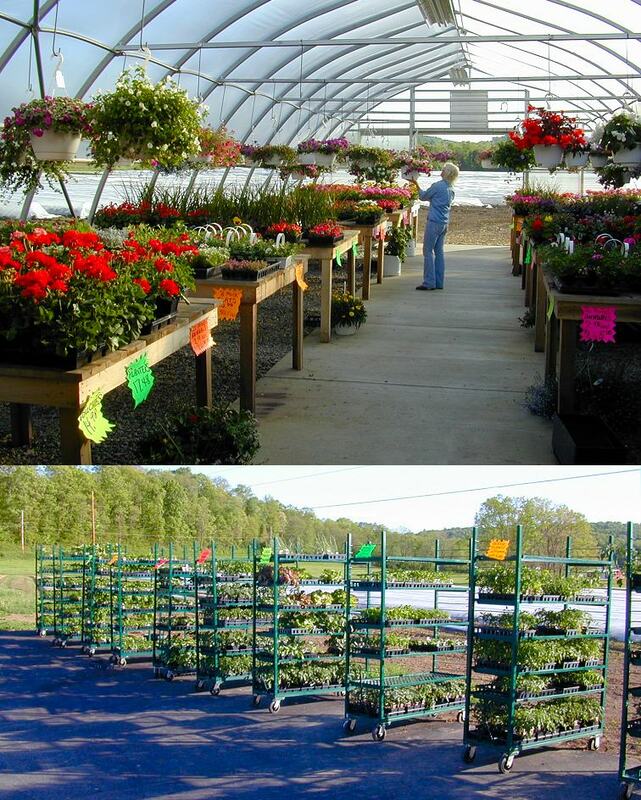 We pick tomatoes and other vegetables every day and put them for sale immediately. We don't have to pick them before they are ripe, so our tomatoes always taste better! 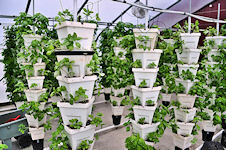 We grow several varieties of tomatoes in our greenhouses. Our fresh "Stem Tomatoes" are shown at left. 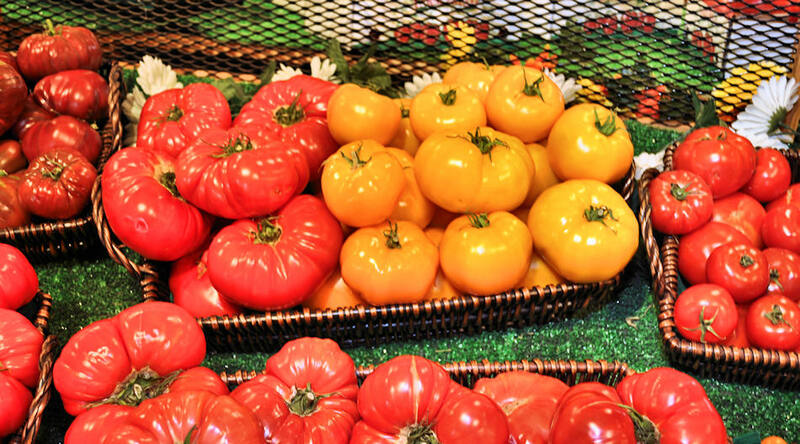 We also have Grape, Roma and we now offer our own Beefsteak tomatoes! You can also find all of the fixin's for great, fresh salads. Opening for the season March 15, 2019! 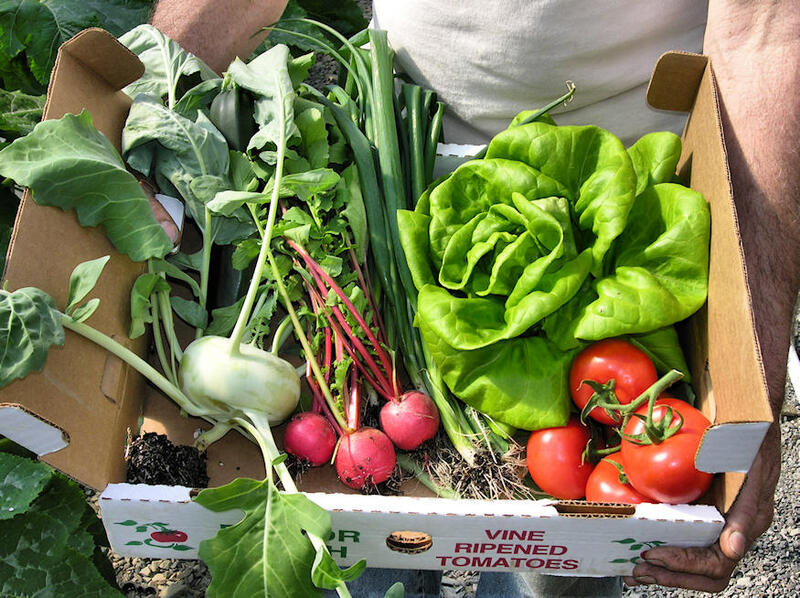 In addition to our tomatoes, we grow fresh seedless cucumbers, eggplant, hot & mild peppers, Habañero peppers, several types of lettuce, kohlrabi, red, yellow, orange and green peppers, beets, carrots, radishes, candy onions and our own yellow and green string beans! You can pick several types of fresh, growing lettuce and fresh herbs right in our store! 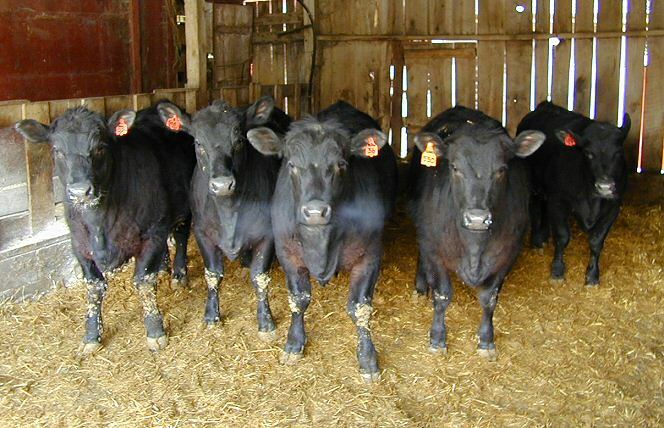 Our grain-fed, Black Angus Beef is raised right here on our farm. We know what is in their feed because we grow it here ourselves! Our cows are "happy cows." We offer a variety of steaks, roasts and burger. You can also order a quarter, half or whole beef. Call for availability. 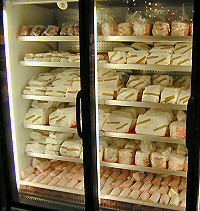 We also carry a full line of smoked meats including our own hams, old fashioned hot dogs, smoked sausage, bacon and beef sticks. Yarnick's also has our own pork products from pigs grown on our farm and locally butchered and wrapped. 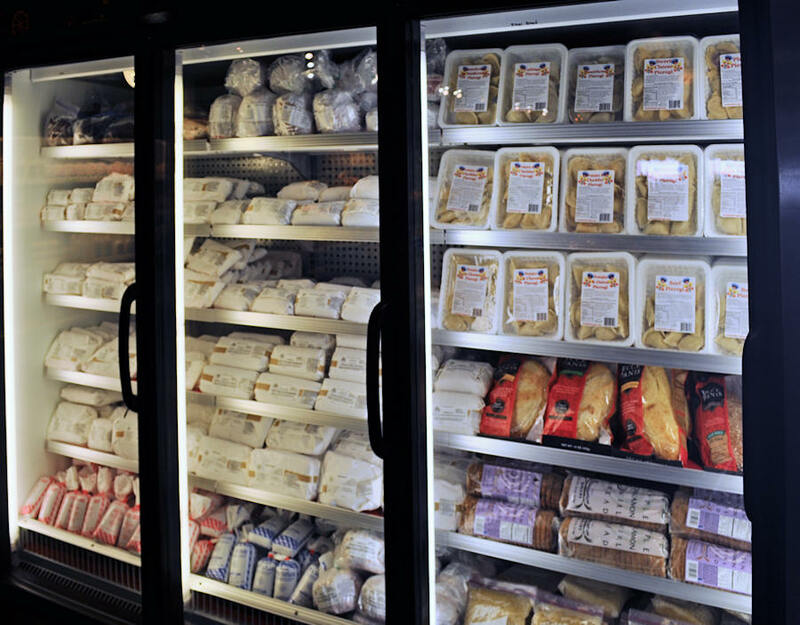 We have a full dairy section complete with meats, cheeses, pastas and sauces from DeLallo. 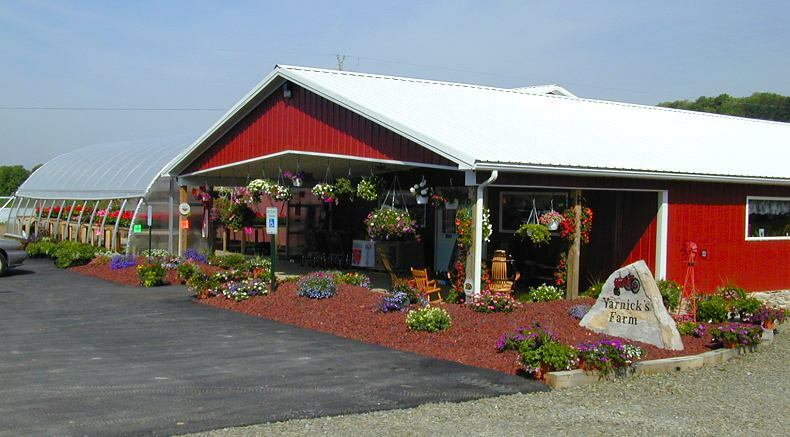 We carry homemade ice cream from Mulberry Street Creamery in Kittanning. 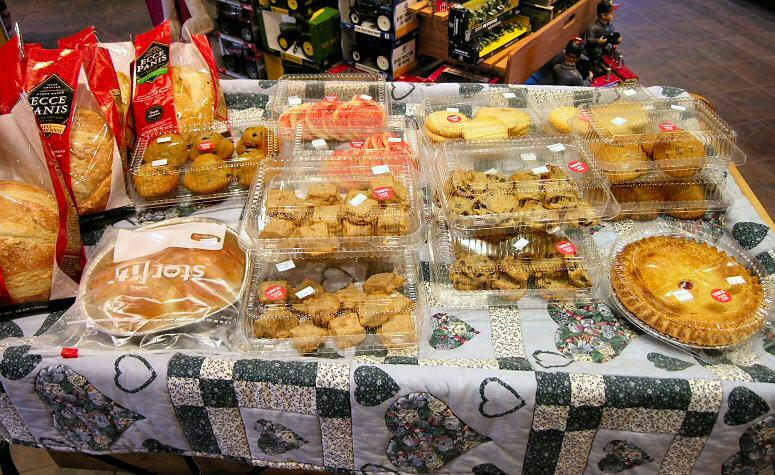 We have milk, butter and old fashioned chunky buttermilk from Valewood Dairy, nestled in the hills of Loretto, PA.
Yarnick's now offers fresh baked pies, cookies and other baked goods, baked fresh right in our store! The only way to get fresher baked goods is to bake them yourself! In our Fragrance and Bath displays, you can find an expanded selection of candles and bath & beauty products. 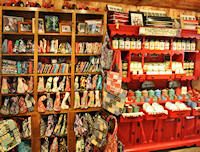 We feature Swan Creek, soy based candles. These candles are made from soybeans grown by farmers in the USA. They give off no soot, lead or carcinogens. We have added many new fragrances from Swan Creek. We also have an extensive selection of fashionable handbags and totes. 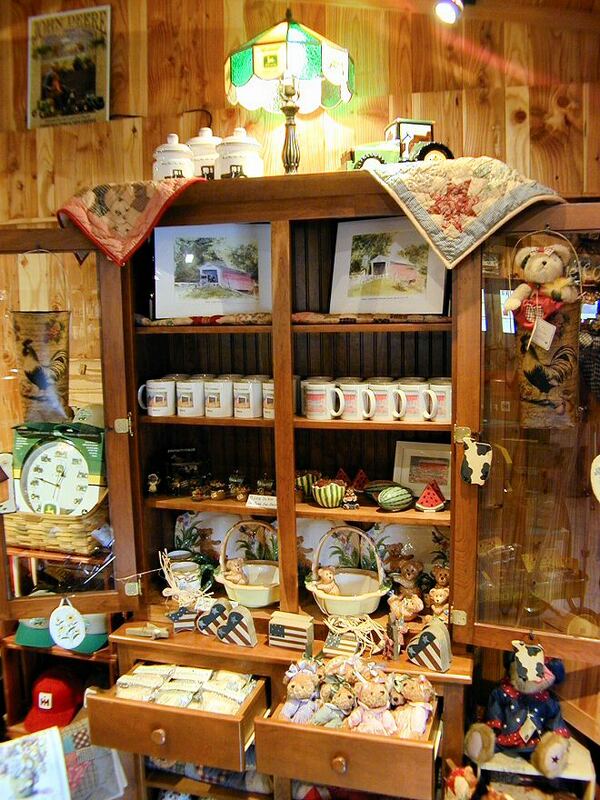 In our "Covered Bridge Corner" gift shop, you can find many Thomas Covered Bridge collectibles, as well as other collectible items. 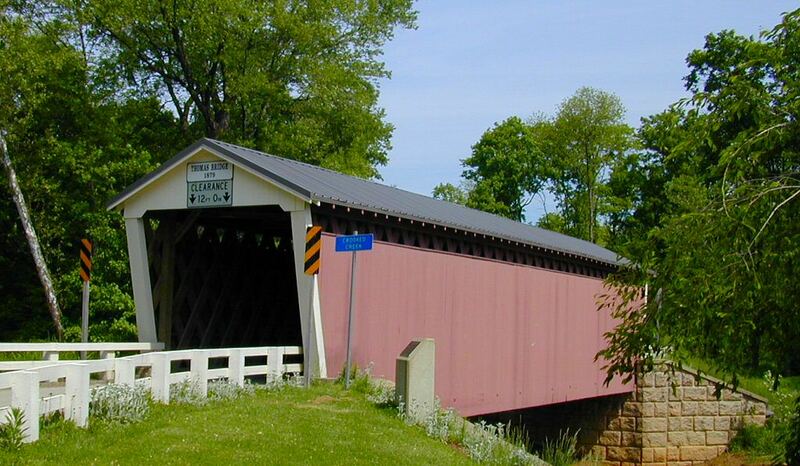 The actual Thomas Covered Bridge is located just past, and within sight of our store. 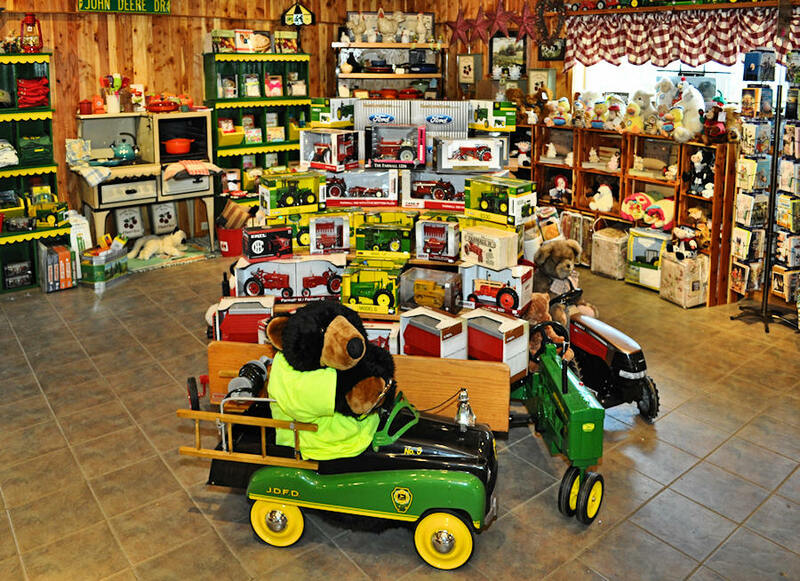 Our farm market wouldn't be complete without an extensive selection of farm toys and Boyd's Bears for the young and young at heart! 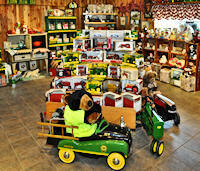 We also feature t-shirts, hats accessories from John Deere, IH and more! 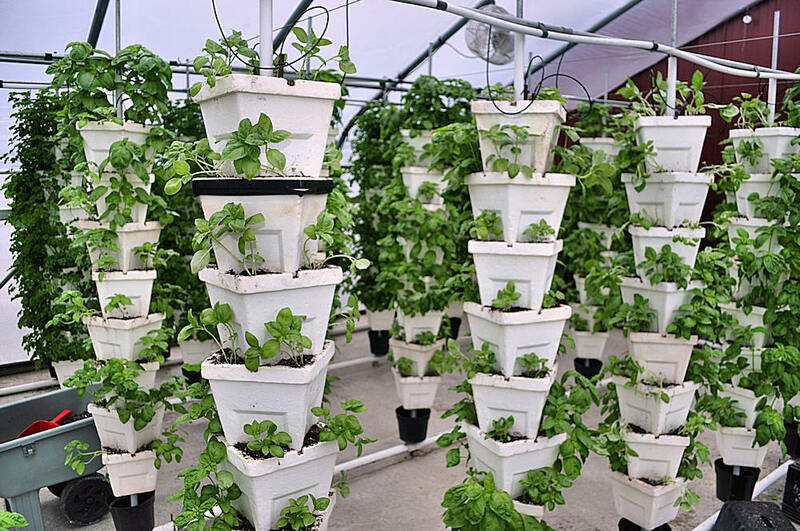 All around the porch and next to the porch in another small green house are dozens of flowers, hanging baskets and vegetable plants for your own garden. You can barely see Lynette next to this monster hanging basket! 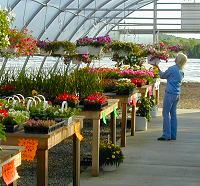 The green house is filled with various seasonal flower plants and vegetable plants line the edge of the parking lot. 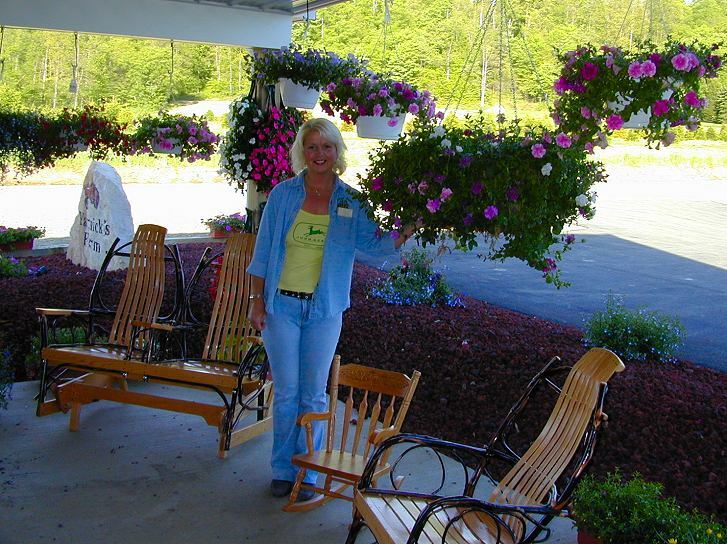 Take time to stop and smell the flowers while you sit in one of our rocking chairs on the front porch. 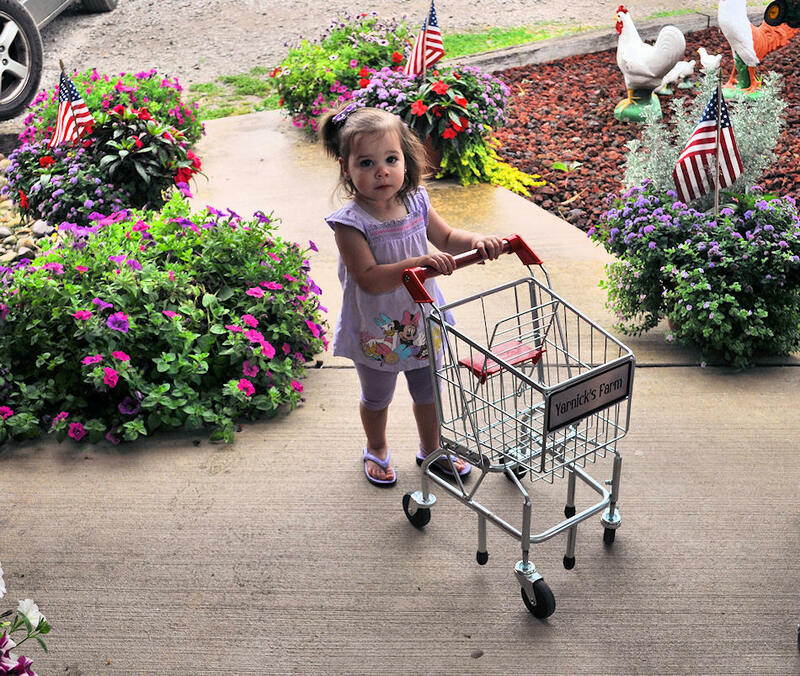 You'll soon understand what we mean by "The Charm of Yarnick's Farm." We built a fresh herb & lettuce greenhouse at the back of our store. You can pick your own fresh herbs like fresh Basil, Curly & Italian Parsley, Chives, Dill, Cilantro and Red & Green Leaf Lettuce. 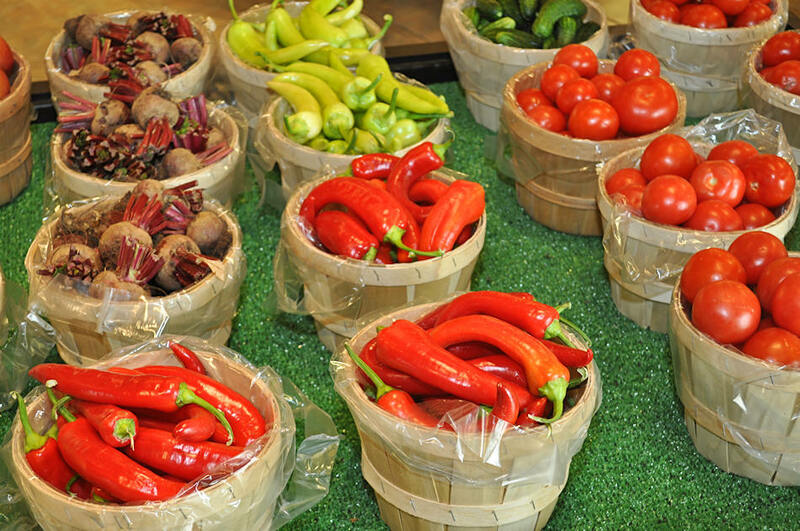 Now you can have fresh herbs to compliment all of the fresh foods we have for you in our market! 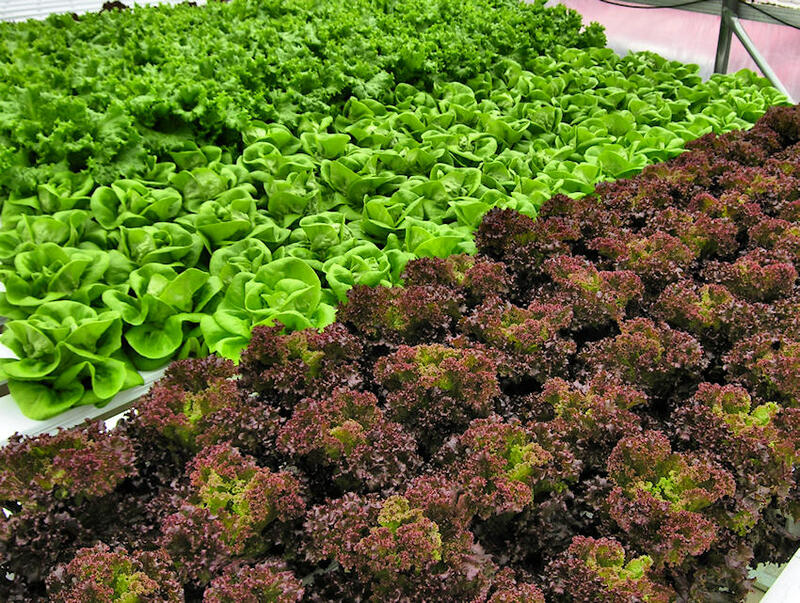 This year, we have added a large Bib Lettuce section to the Herb House where you can pick your own, fresh, live, growing, Bib, Green Leaf or Red Leaf Lettuce. 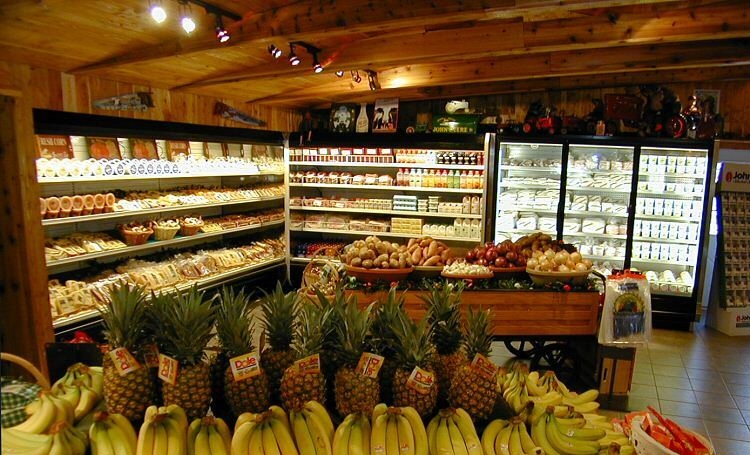 It doesn't get any fresher than Yarnick's! 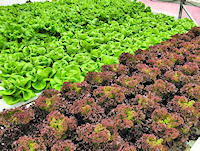 Pick your own fresh herbs and lettuce this afternoon and serve it this evening. That's fresh!